Suicide in Ireland is so often a subject we don’t wish to discuss – and certainly not on a night out – but one genius play is certainly bucking that trend. Every Brilliant Thing, at the Pavillion Theatre in Dun Laoghaire, last week received plaudits just had it had across the world. And when the star of this one man show arrives on stage, I have to admit, I thought he was a stage hand. The casually dressed Jonny Donahoe, starts handing out scraps of paper to bewildered audience members. Little did they know they would soon be semi stars of the show in their own right. 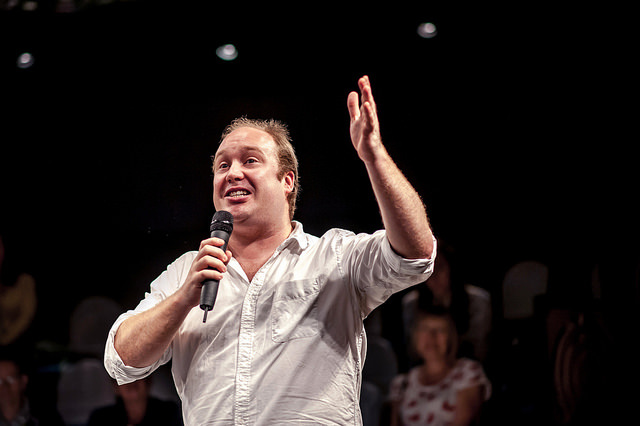 Duncan Macmillan’s play – which is so realistic – my boyfriend felt the performance simply had to be a fictionalised tale. And it is admittedly a task to come to terms with the fact that this amazingly believable actor has managed to evoke such emotions of sadness, serenity and bliss, from a group of strangers with this seemingly personal story, that is not his own. During the production from Paines Plough and Pentabus, when Donahoe reverts back to being a seven-year-old boy, right up to the awkward teen years and in to his adulthood, every utterance is realistic and as an audience we feel we’ve been invited to partake in a piece of mournful history, as he tells how his mother was suicidal and constantly depressed. 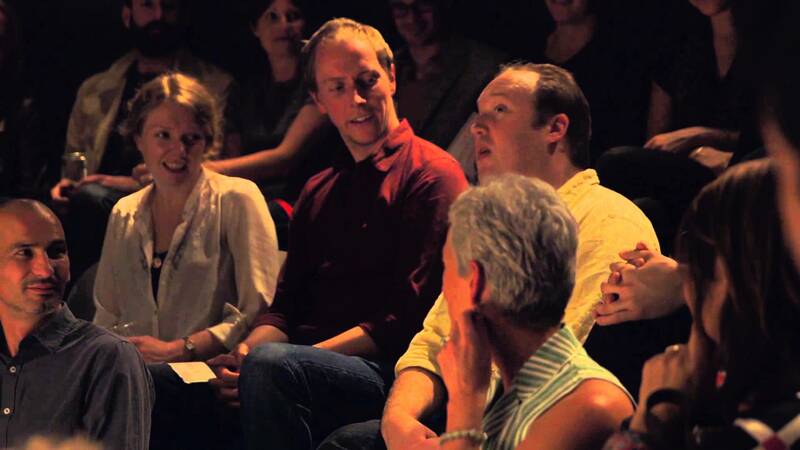 And the audience members who’d been passed scraps of paper, suddenly realise they are no longer onlookers but revolving characters invited in to the play. One elderly American woman, sitting in the front row of the circular stage, is suddenly invited to be a school counsellor and asked politely to “take your sock off,” as she then finds she must engage in a game of talking sock with Donahoe’s mythical seven-year-old self. The fact that this performer is able to discuss such tough subject matter – clearly affecting some onlookers, who perhaps had themselves dealt with tragedy, in such a humane and honest, even startlingly amusing way, is nothing short of genius. And that he is able to engage complete strangers and hire them for free as his co-actors, is of course ridiculously skilful. One of the most amusing moments being when Donohoe suddenly starts gazing in to the eyes of a young, attractive girl at the front of the circle. He then explains she will be the woman he first falls in love with in a school library. She giggles and plays with her hair a little and it seems the actor has managed to hypnotise her in to believing this could actually be a case of reality imitating art. But the chances, the woman with a beautiful French accent, which only adds to the mix, was just flattered and entranced by the suggestion. Throughout, we are reminded of two of the most difficult words in the English language, depression and suicide. But thanks to the light-hearted tale of how a child reminded his mother, who had forgotten joy, of a list of “Every Brilliant Thing,” we are, as au audience encouraged to just go out there and relish life. This innocence of loving ice-cream, spaghetti bolognaise and people falling over, among hundreds of other matters, reminds us all, that if a child could see such delight, so too can we, even in our darkest times. And Donohoe shares with us a great tip, that a little play acting along the way isn’t a bad idea either. 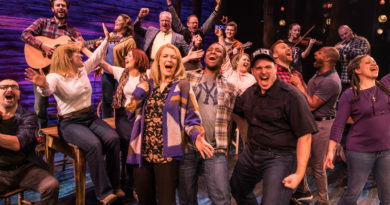 This show is much more than a performance because I consider that every single person who’s seen it, walked away feeling their heart a little lighter and their troubles much less. To use art to open up public discourse on matters that have affected most of us in Irish society today and make us more accepting of them, is a truly specialthing. Showing across the UK at a variety of theatres. The Pavillion Theatre in Dun Laoghaire is currently showing Scorch, a play about a young woman, Kez, who is struggling with gender identity. 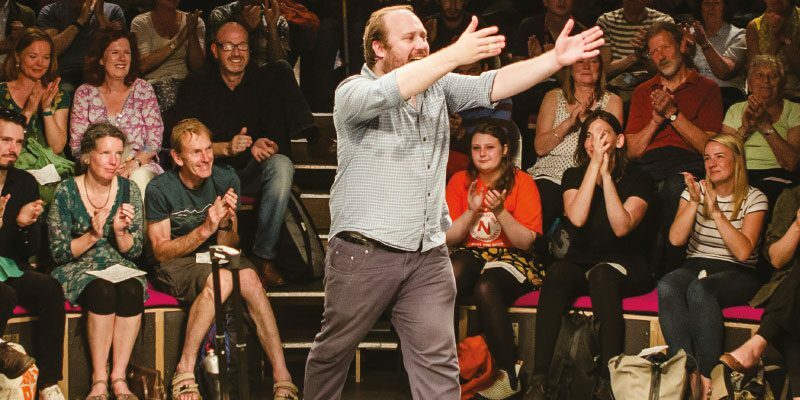 This play won a First Fringe Award at the Edinburgh Fringe Festival.